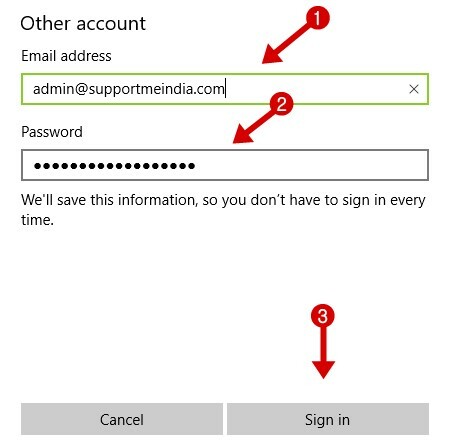 Agar aap Windows 10 mail app me custom email address add karna chahate hai to ye post aapke liye hi hai. 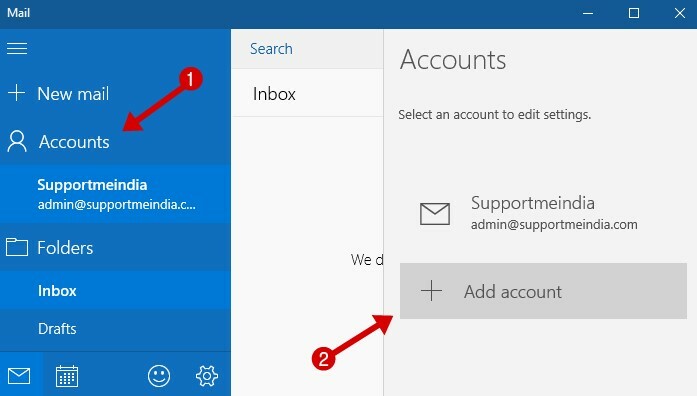 Is post me main aapko Windows 10 Outlook Mail App Me Custom Email Setting up karne ke bare me step by step with screenshot bta raha hu. Agar aap custom email istemal karte hai to email message read karne ke liye aapko mail hosting server site apr login karna padta hai. Lekin kya aap jante hai ki aap windows mail app me bhi custom email account, gmail account, yahoo account ko add kar sakte hai. Windows mail app me aap aasani se custom email account ke message send aur receive kar sakte ho. Main kafi time se ise use kar raha hu ye bahut hi kamal ka feature hai aur bahut aasan hai. 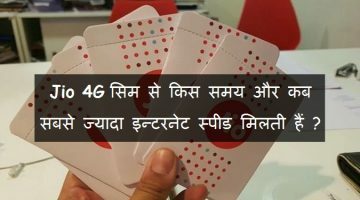 Koi bhi newbie ise use kar sakta hai. Aapko email message karne ke liye uski site par jane ki jarurat nahi hai. 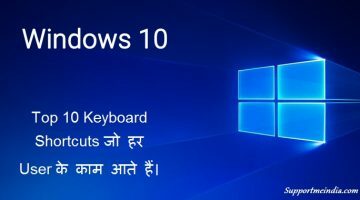 Aap apne PC computer, laptop me windows 10 istemal karte ho to outlook mail app me hi email message sent receive kar sakte ho. Iske liye bas aapko choti si setting karni hai. Sabse pahle aap apne computer me mail app open kare. Start menu par click kar Mail search kare. 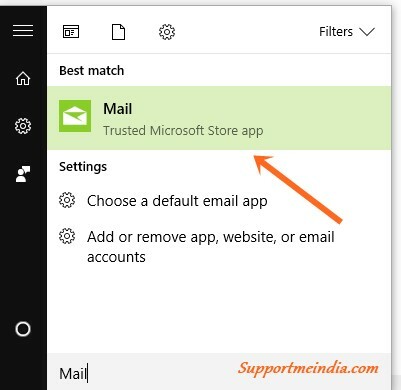 Ab search result me Mail – Trusted Microsoft Store app par click kare. Left menu me Accounts par click kare. Ab right side me ek menu open hoga jisme aapko + Add account par click karna hai. Ab ek pop up windows open hogi usme Other account select karna hai. 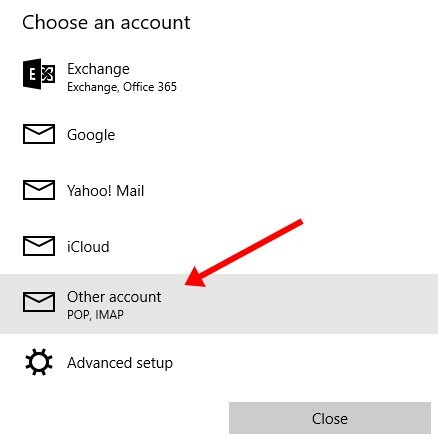 Select Other account (Pop IMAP) option. Ab jo tab open hogi usme aapko apne custom email account ka address aur password add karne hai. Custom email address add kare. Custom email password add kare. Sign in button par click kare. Ab agar aapne sabkuch sahi se set kiya hoga to All done! Your account was set up successfully. ka message show hoga. Congratulatoins! 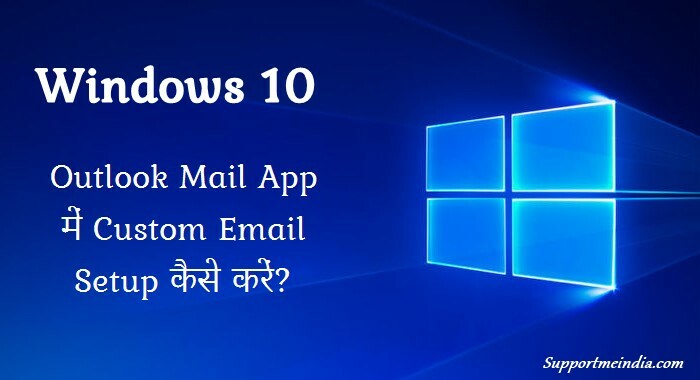 aapne successfully windows mail app me custom email account ko connect kar liya hai. Ab aap aasani se apne custom email account ke message receive aur send kar sakte ho. Agar aap apne gmail account ko windows mail app me add karna chahate hai to uske liye humari ye post read kijiye. Agar aapko ye article pasand aaye to ise social media par dusre logo ke sath bhi share kijiye. Yes kar sakte ho lekin isme bahut data lagega so better hai aap kisi computershop par ja kar 200-300 me kara le. Bro, great article. This is a great solution ti Windows 10 mail problem. Thanks for sharing such helpful solutions with the World. Keep up the good work. bahut hi helpful jankari share ki hai apne… thanks! You writing a wonderful article about windows and thanks for sharing amazing articles with us. 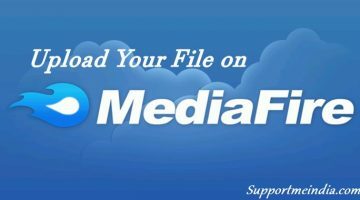 custom mail ko window 10 mail me setup karne ki behtreen jankari di hai aapne. sir google adsense desktop par “Last Payment” wale option ke andar $10.67 dikha raha hai.. Aur Android adsense app ke andar “Life Time” option me $21.59 dikha raha hai..
To computer ke adsene me kam earning aur android adsense app ke andar jada earning kyo dikha raha hai…? To believe kispar karu computer par ya mobile par? Its mistakes, aap desktop wale ko sahi mano.